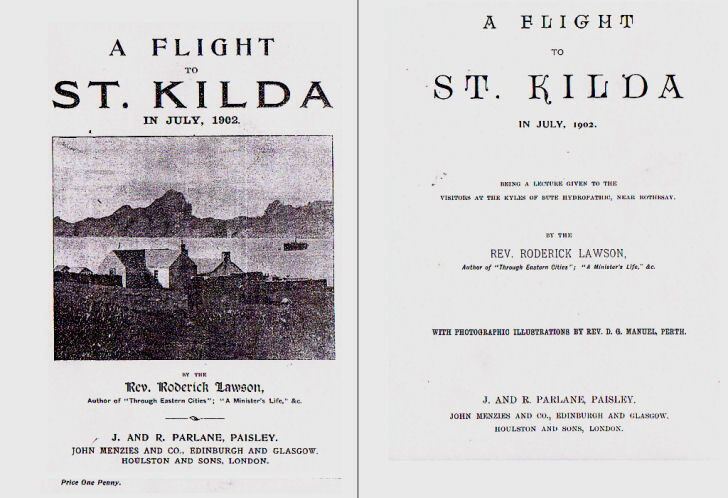 A FLIGHT TO ST. KILDA is a lecture given to visitors at the Kyles of Bute Hydropathic, near Rothesay by Rev. Roderick Lawson in July 1902. - These images and text contributed by Ewen McGee whose grandfather was captain of the SS Hebrides from 1899 to 1921.